I got a question about how I do my hair so I wanted to post some of my favorite ways to wear my hair as of late. First off, you should know I have really long, frizzy hair. I'm not talking sort of frizzy hair, either. I'm talking Hermione Granger via the first movie. Or maybe even Hagrid. No, I'm not kidding (ok, I'm kidding about Hagrid. But only very slightly). I HAVE to straighten my hair every time I wash it, or braid it and wear it wavy. But I know that is really bad for my hair, so I've been trying to give it more of a rest lately and have been braiding it and wearing it up. This French Fishtail Seashell Braid is SO CUTE. Sure, it takes a bit more time, but when I'm not late to class or work, I'd take the time to do this. More realistically, though, I wear my hair like this when I am in a hurry and/or just want to let my hair have a day off from being fried. Low, polished buns are cute, but since I go to school in SoCal, the relaxed bun is stylish and easy. I just got into the whole using a scarf as a headband thing this summer and think it's really cute. 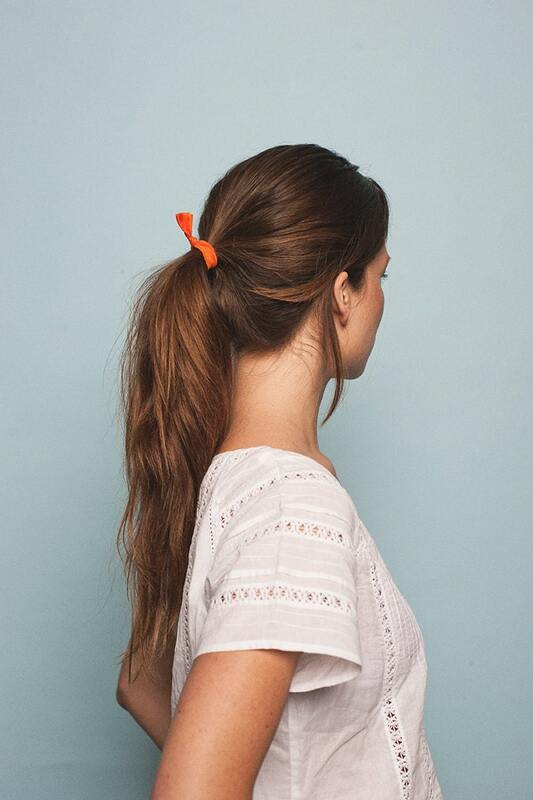 I like using those hair ties that are knotted and thicker to put my hair up in a bun because it creates a looser bun that will naturally relax itself (plus, they are so cute when you can see the knot of the tie around your bun, and they are cute on the wrist!). The truth of the matter though is that I usually just wear my hair down. I think long hair is really pretty, and I think long hair looks good for only a certain amount of time, so I try to enjoy it before I get older and need to have a more professional, shorter haircut. Just yesterday, I got a maroon American Apparel small bow in the mail and love wearing it like in the photo below with my hair pull back from my face. I'm actually quite obsessed with my bow (specifically the small size that I have from AA because the larger ones just feel like too much on my head). They are a bit expensive from American Apparel but they have an AMAZINGLY CUTE California Select line of bows that I might just have to buy all of. It's fun too because you choose the group you like the best and they send you one at random. It's like a draw bag! So fun! I love surprises! 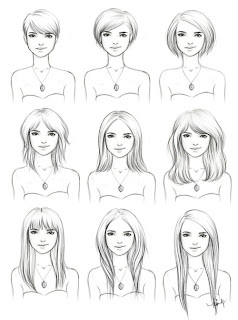 If you have any ways you love wearing your hair, comment below! I'm always looking for something to do with my tangled mess of hair! I always threaten to cut off all my hair. It's been long for almost my entire life and as much as I sometimes feel like it weighs me down and is more effort than it's worth, I just can't bring myself to cut off my long locks. What if it looks hideous and then I have to go through all those awkward (LONG) stages of hair growth? 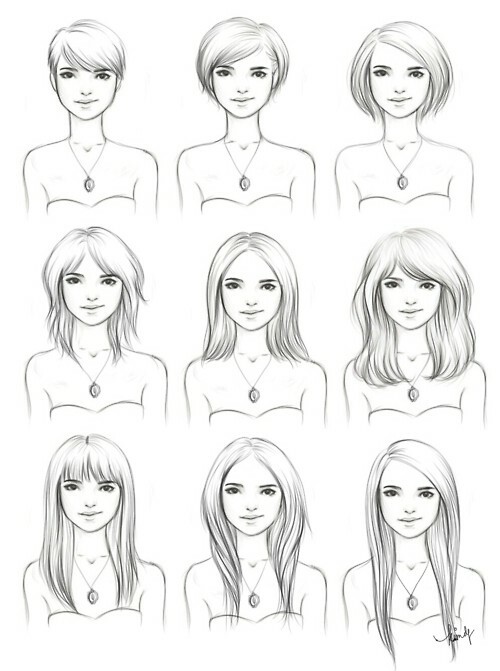 Well with this guide to how to grow out your hair, I'm thinking I may have to reconsider. I'm basically at the last image now, but maybe I'll venture into #6 territory. And if that goes well, who knows! Maybe I'll be a #1 soon!